Webinar presented: Thursday, October 18th, 2012. Click here to view the YouTube recorded webinar. Download a synopsis of the webinar (http://lakestatesfiresci.net/docs/OrientalBittersweet10_18_12.pdf). 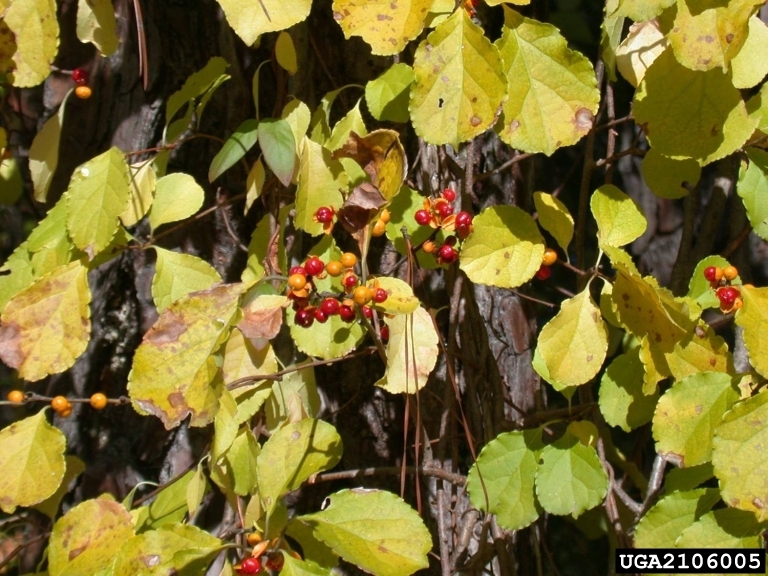 Oriental bittersweet (Celastrus orbiculatus) is a highly invasive liana (woody vine) that occurs throughout the Eastern United States. This twining plant can blanket and girdle adjacent vegetation, affecting succession and damaging trees. In areas where prescribed fire is a management tool, the response of Oriental bittersweet to fire needs to be quantified, rather than relying on anecdotal evidence. Currently, in areas already infested with this species, there are no strategies for prioritizing the efficacy of pre- or post- fire treatments on Oriental bittersweet. Read about Dr. Pavolovic and Dr. Leicht-Young's work with fire and Oriental bittersweet.